Big Buddha area is located in the north east of Koh Samui between the areas of Bophut to the west and Plai Laem to the east. 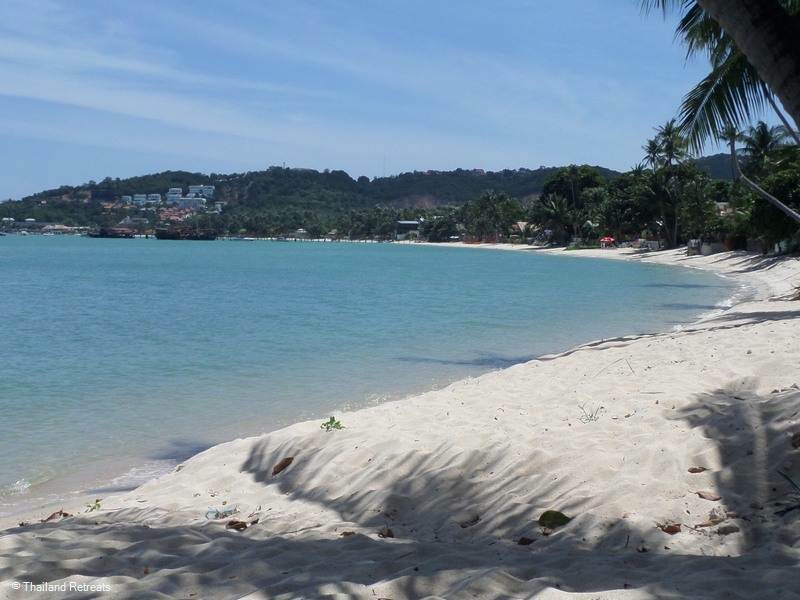 The village that runs parallel to the beach retains the name of Bang Rak which translates to “Village of Love”. Our Big Buddha Villas are close to amenities and has a great swimming beach. Big Buddha area is located in the north east of Koh Samui between the areas of Bophut to the west and Plai Laem to the east. The village that runs parallel to the beach retains the name of Bang Rak which translates to “Village of Love”. 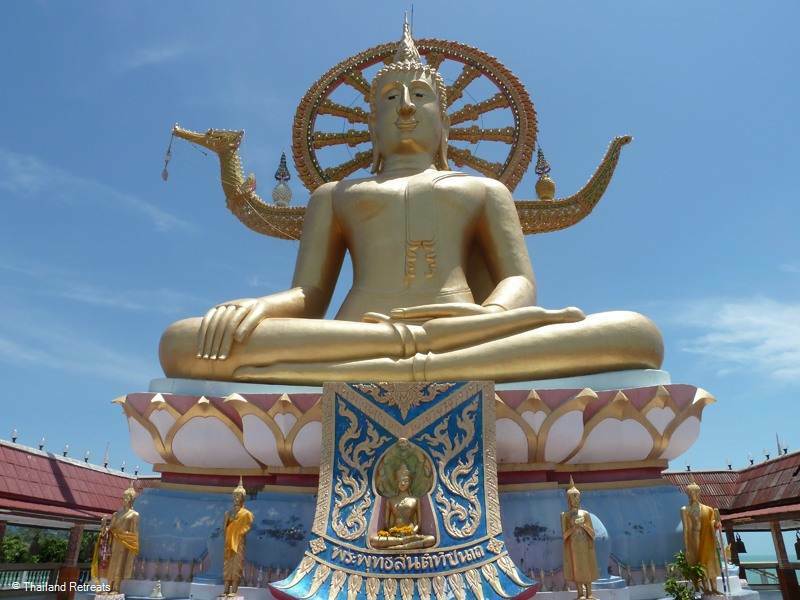 Big Buddha area is located in the north east of Koh Samui between the areas of Bophut to the west and Plai Laem to the east. The golden 12m high statue of Big Buddha, one of the top tourist spots of Koh Samui, majestically sits on it’s own island at the east end of the beach and has now given it’s name to the beach formerly known as Bang Rak beach. The village that runs parallel to the beach retains the name of Bang Rak which translates to “Village of Love”. When the sun goes down the statue is floodlit and can be seen several kilometers away and acts like a great guardian of the island, an impressive sight, especially from the air as the planes arrive and depart. Remaining at the east end of the beach there are now quite a few piers which mostly serve tourist speed boat day/diving/scuba trips to the Angthong Marine Park and other surrounding islands and a ferry to Koh Phangan where once a month the famous Full Moon Party takes place. 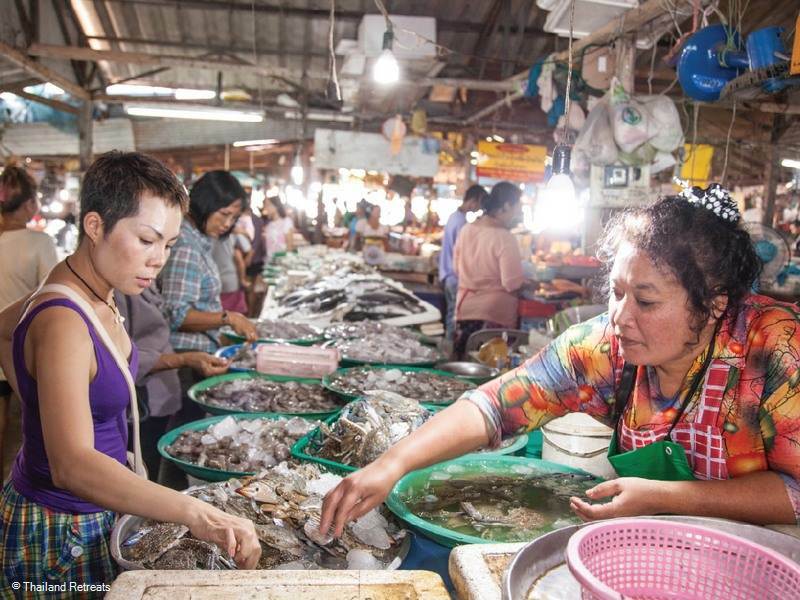 This east end by Big Buddha is also home to a busy market where locals flock at certain times during the day as the fisherman arrive with their fresh catch of the day. 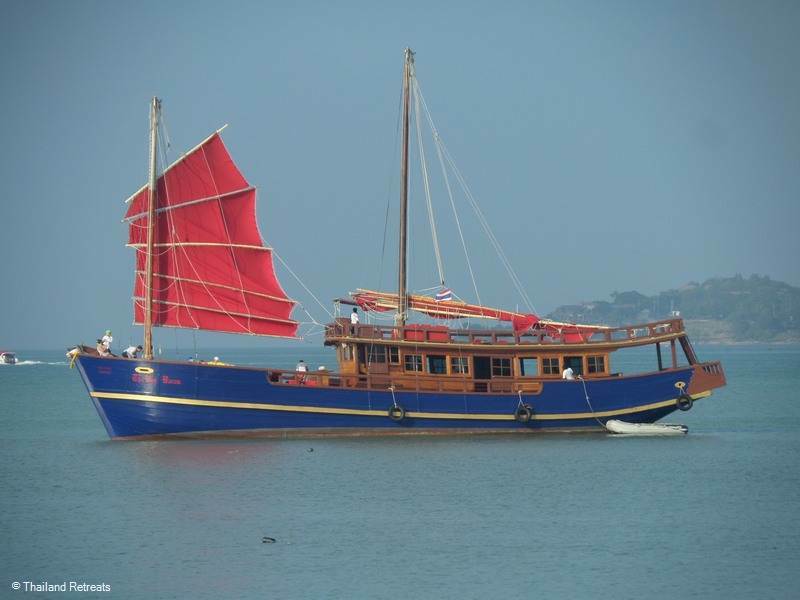 Several visiting luxury vessels as well as the colourful fishing boats moor in the area, creating an interesting view against the backdrop of the island Koh Phangan, none of which interfere with the relaxed feel of this beautiful beach. Apart from the east end with the hustle and bustle of the ferries and surrounding cafes & sports bars, the village is generally considered quiet due to the lack of large hotels. It has a lot to offer as well as a beautiful beach with an abundance of restaurants serving both Thai and International cuisine. In previous years, budget beach bungalow resorts ideal for the backpacker lined the beach, but more recently, with the increase in the number of ex-pats making the area their new or second home there are many new eateries and convenience stores on both sides of the main street. Avoiding the busy east end of the beach where the boats are much of this 3km long beach towards the centre of the bay is idyllic. White sands are bordered by swaying palm trees, the calm waters giving all year round swimming, safe for young families. Beach vendors make a rare appearance. It is here that we have a few of our Koh Samui luxury villas, which benefit from a quiet beach and stunning views in front of the villas and a bustling village behind. Along the western section of the beach through to the headland that marks the beginning of Bophut Beach, the sea can retreat considerably at low tide at certain times of the year, creating mud flats. Locals harvest shellfish early in the morning at low tide, and fishermen wade out to a large sand bank to fish. It is not uncommon to see water buffalo being walked along the beach, or even taking a cooling dip in the sea. With the absence of any large hotel/resorts in the area there are very few Spa/Wellbeing centres in the Big Buddha area. One of the original Spa's on Koh Samui and is truly authentic, located right on Big Buddha beach under the palms at the quieter end in an amazing setting. There are some small massage shops offering foot, head and basic oil massages in the village. There is an ample choice of restaurants in this area ranging from fine dining beachfront to an abundance of good value laid back eateries. Located in a great position on Big Buddha Beach this fine dining restaurant is the place to visit with the stunning views, mouth-watering food and attentive service in refined surroundings. You may want you to dress up a little more than usual to dine here. Situated towards the west end of the village, has an Italian kitchen and is one of the best on the island for value. 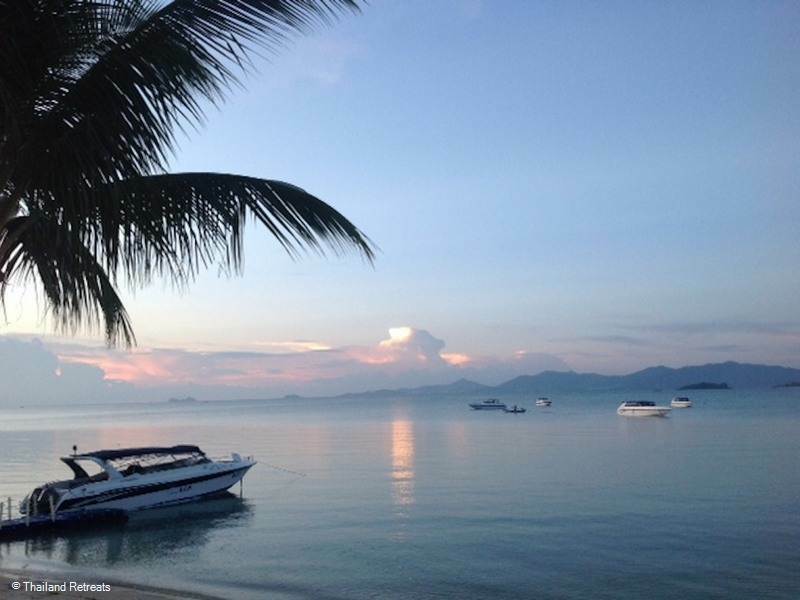 It is frequented by returning visitors to Koh Samui and long term local residents. A popular venue on a Sunday late afternoon, going through the evening serving a buffet BBQ. The Secret Garden is a bungalow resort and restaurant located on the beach, where the diners are entertained by live music from both resident and visiting bands and performers. A great evening in a beautiful setting. In high season tables need to be reserved. Popular for an all day breakfast or lunch and enjoying the boating activity from the poers nearby. Nightlife in this area is a cluster of hostess bars located at one end of the village next to the new Seatran Discovery ferry pier, which is frequented mostly by the ex-pats enjoying a lively drink with friends. Our luxury beachfront villas are located in the central and west end of the beach and are not affected by any noisy bars at night. There are a number of sports bars in the village, all have large screens showing current events that are popular with the residents, locals and tourists staying in the area. One of the most popular bars is The Office which has the largest sports screen in the village and M&M Bar (opposite the Secret Garden ) has live music on a Friday night, where many expats socialise.